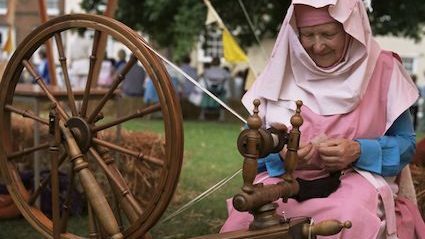 PLANS for leaving the EU without a trade deal seem to involve living in a 14th century agrarian society, experts have noted. Concerns have been raised over initiatives such as working 16 hours a day in the fields to grow enough food and using prayer to cure illnesses after the NHS has collapsed. Economist Donna Sheridan said: “Total economic meltdown followed by living in filthy hovels with your pigs was probably not what most people voted for in the referendum. A government spokesman said: “People were warned the economy would take a hit after Brexit. It’s too late now to complain about doing your own dentistry with pliers. “Imported food will be a thing of the past but everyone likes watery cabbage soup, and in a couple of generations people will have forgotten courgettes and oranges ever existed. THE cost of keeping a car stationary in a single spot for 48 hours apparently exceeds the cost of flying across the sea and back, it has emerged. Businessman Nathan Muir was surprised to discover the price of occupancy of a 8ft-by-16ft space for two days comfortably exceeded the price of return flights to Amsterdam, and found himself puzzled by the economics. He said: “I’m not sure that mere occupancy of space can really compare, in terms of value for money, to what I still consider a scientific miracle. “On the one side you’ve got building the plane, fuelling the plane, maintaining the plane, piloting the plane, staff at two separate airports, shuttle buses, all that. “On the other, there’s a rectangle of tarmac behind a chain-link fence in a scrubby part of Cheshire being walked past by a disinterested security guard every six hours. And of course a Portakabin. 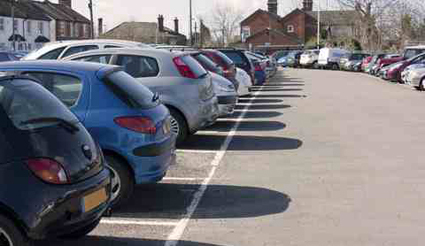 Bill McKay, owner of Lavender Parking, said: “We’ll probably have to stick Mr Muir’s car by the side of a road on an industrial estate for the majority of its stay.